We eat many things to stay healthy. Good eating habits and exercise in the gym is our daily routine. But if you eat almond everyday then it will definitely help you to make your health. Almond contains protein, fat, vitamins and minerals in sufficient quantities. So it is good not only for health but also good for skin. Almond is the mine for health properties. This not only strengthens the immune system but also cures cough, diabetes, anemia, kidney stone problems. Heart Disease: Research has shown that people who eat almonds week at least among them the risk of stroke is less by 50%. Almond contains vitamin E which acts like antioxidant and reduces the risk of cardiovascular diseases. 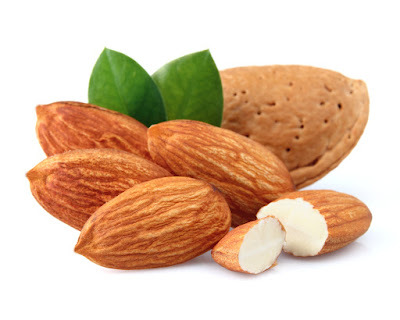 Blood Circulation: Almonds are high amounts of potassium and moderation amount of sodium. So blood circulates properly in the body and body also gets oxygen in proper amount. Strong Bones: Almond is an excellent source of calcium so it reduces the risk of osteoporosis. Calcium is very good for bones and teeth. No Risk of Cancer: Almond is a good source of fiber which helps in digestion. It also prevents us from the colon cancer. Strength: Almond contains protein, manganese, copper, riboflavin. The intake of these nutrients gives power to the body. Good Memory: The nutrients in almonds are also good for boosting memory. According to Ayurveda, memory power become stronger by eating 5 soaked almonds in the morning.